Triyuginarayan is a well known Hindu pilgrimage located in the Rudraprayag district of Uttarakhand. 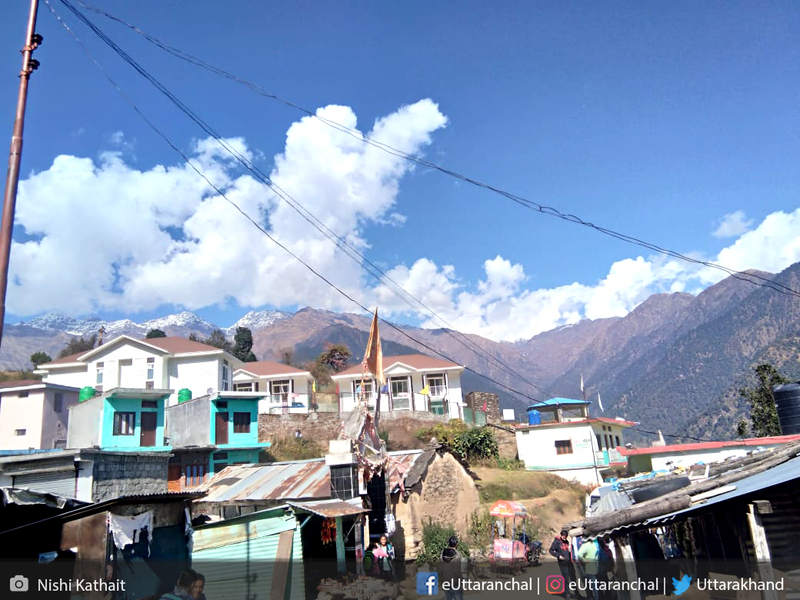 This picturesque village is perched at an elevation of 1,980 and offers panoramic views of snow covered mountains of the beauteous Garhwal region. The centre of attraction of this place is the TriyugiNarayan also known as the Trijugi Narayan temple dedicated to the preserver, Lord Vishnu. The architecture of this temple resembles to that of Badrinath shrine. 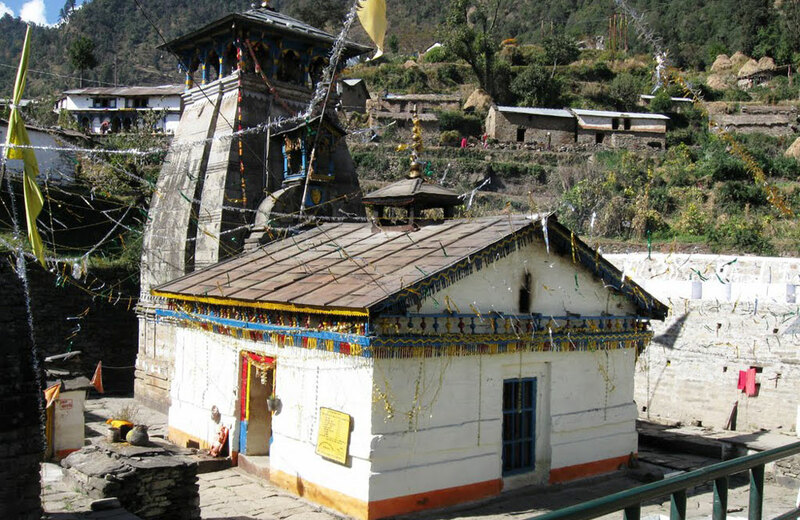 Triyugi Narayan is the village where the wedding of Lord Shiva and Goddess Parvati took place. The marriage took place in front of Lord Vishnu therefore, TriyugiNarayan temple was built in its honour. It is believed that Lord Vishnu did all the arrangements for this celestial wedding and acted as Parvati's brother while Lord Brahma played the role of a priest. The Brahma Shila in front of the temple also marks the exact place of the wedding. One can see the three sacred kunds or ponds namely Rudra kund, Vishnu kund and Brahma kund that have medicinal properties. These kunds are replenished by the Saraswati kund, which according to Hindu legend originated from the navel of Lord Vishnu. Many Hindu pilgrims take a holy dip in these kunds before entering inside the temple. Nowdays, Triyuginarayan is getting popular day by day as a famous wedding destination. Many celebrity in the past years married here to take the blessings of Lord Vishnu and Shiva for a successful marriage. 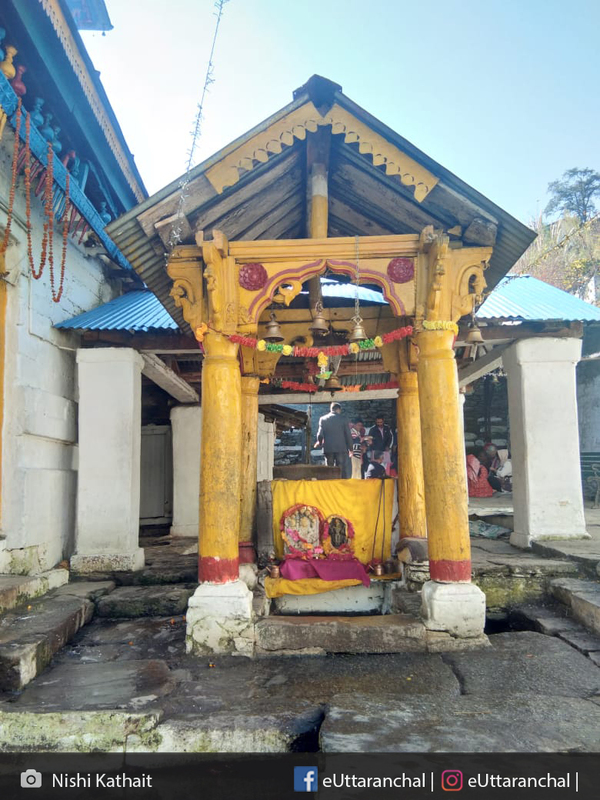 Pilgrimage – Triyugi Narayan temple is the place where the celestial wedding of Lord Shiva and Goddess Parvati took place and witnesses by Lord Vishnu. As a result, Triyugi Narayan is dedicated to Lord Vishnu and is visited by thousands of devotees and pilgrims. 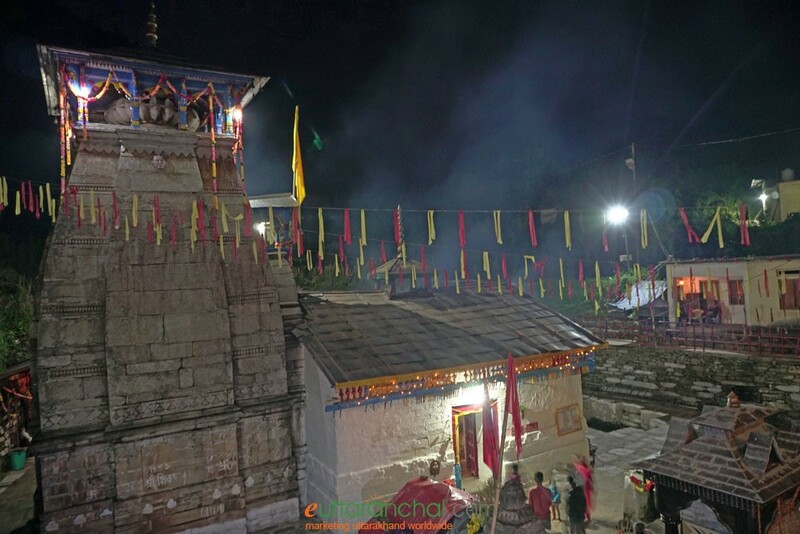 The revered Kedarnath shrine is situated few kilometres away. Trekking – You can do trek to Pawanli Kantha from Triyuginarayan as well. When travelling in monsoons, it is wise to check with local authorities, tour guides or tour operators about the weather and road conditions before you actually start your journey. Photography may be prohibited inside the temple, especially inside sanctum sanctorum. Please abide by the guidelines outlined by temple authorities and respect the sanctity of the place. There are plentey of homestays, lodges in Triyuginarayana at low cost with basic facilities. In case you need good hotel with modern facility you can saty at any resort in Sonprayag. Another option is to stay at Guptkashi which is 30 kms away from Sonprayag. There are from few local dhabas and tea stalls and food served there is mainly North Indian dishes and few Pahadi dishes like Gehat Dal, Chainsoo etc. to name a few. On some occasion there is langar organised in the temple where you get get food as well. TriyugiNarayan Temple is the same place where celestial wedding of Lord Shiva and Goddess Parvati formalized by Lord Vishnu. Holy fire in front of the temple where both take seven rounds (Saat Phere) as per Hindu tradition is still endlessly continues. Due to this perpetual fire in front of the temple, Triyugi Narayan Temple is also famous as Akhand Dhuni Temple and wood is taken as offerings at the eternal fire and in return pilgrims carry holy ash. Lord Vishnu set all the arrangements of this celestial wedding and acted as Parvati's brother where Lord Brahma was the priest in this divine marriage. Brahma Shila in front of the temple also marks the exact place of wedding. Inside the Triyugi Narayan temple, silver idols of Lord Vishnu, Goddess Lakshmi is situated with Goddess Saraswati. Triyugi Narayan is a popular Vaishnavite shrine that has existed for ‘three ages’ or ‘Triyug’ thereby, giving it the name of Triyugi Narayan. One can see the silver idols of Lord Vishnu, Goddess Lakshmi, and Goddess Saraswati enshrined inside the temple. A perpetual fire burns in front of the temple since the time of Lord Shiva’s marriage thereby, nicknaming it as Akhand Dhuni temple. Many devotees carry wood to offer in the holy fire and take back the ash as it promotes marital bliss. What is Triyuginarayan Temple famous for? 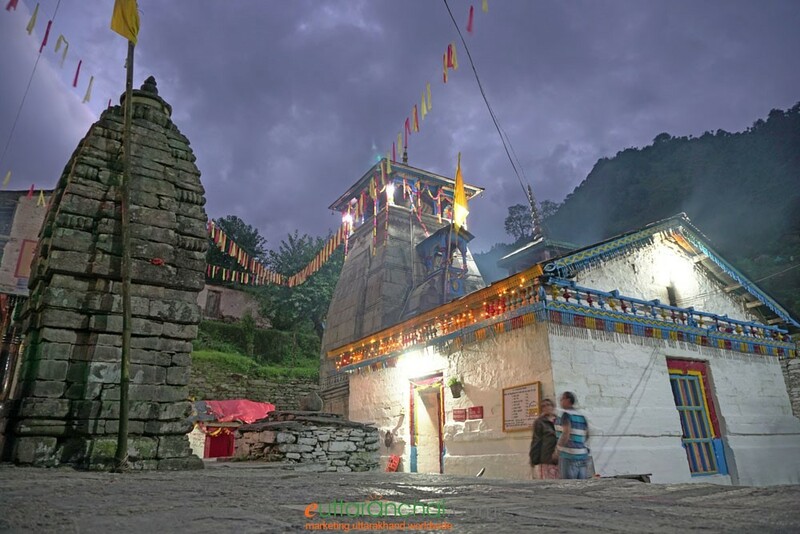 Triyuginarayan Temple is famous among tourist as Lord Vishnu Temple, Trekking, Wedding Destnation. 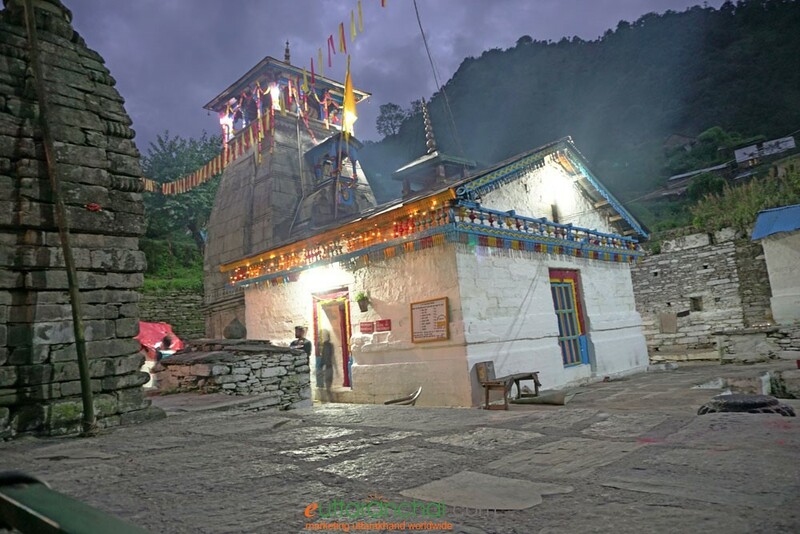 Triyuginarayan Temple is popular destination for following activities/ interests - Shiva Temples, Temples, Trekking. Travelling to Triyuginarayan Temple in 2019? Contact us for planning your Triyuginarayan Temple tour with best travel packages of as per your requirements!